Our app is designed to reduce crime, by using mobile devices to automatically record and upload evidence. 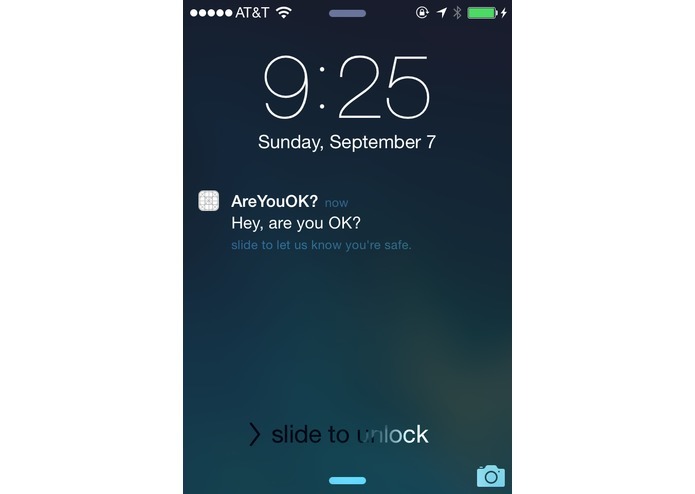 In situations where our app detects that the user may be in danger, for example if their heart shoots up while walking home at night, it sends them an 'are you OK?" message. If they don't respond, it saves recorded sensor data and backs it up remotely for security. This data includes GPS, audio, and local bluetooth device data. Many crimes are not prosecuted due to lack of evidence. Our app will also notify an emergency contact in these situations.